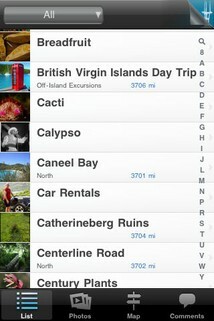 Harry Pariser is a noted travel writer, and has introduced an app for St John in the U.S. Virgin Islands. Not only will visitors have a comprehensive coverage of sights and attractions, Pariser covers a wide variety of topics including hiking, diving, snorkeling, transport, shopping, restaurants, coral reefs, flora and fauna, history, and festivals and events. Use alphabet stroll, search, and internal hyperlinks to navigate the guide and the web. * Make one click telephone calls. Interact with other users and the author through the innovative comments feature. Harry S. Pariser is a writer, artist and photographer living in San Francisco. His first travel guidebook to the Virgin Islands was published in 1986. Since then, he has had penned guidebooks to Barbados, Puerto Rico, Jamaica, the Dominican Republic, Costa Rica, and Belize. An edition of his Barbados guide won a Silver Medal from the Society of American Travel Writers. Harry's interests include politics, economics, literature, cinema, textiles and other folk art, and cooking.